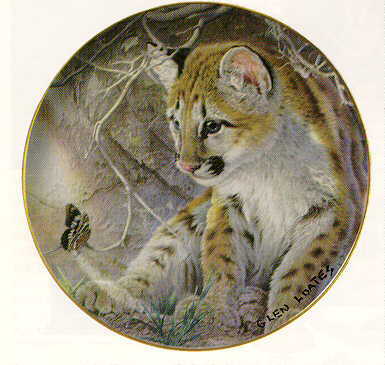 A magical moment between a baby cougar and a butterfly, captured by award-winning wildlife artist Glen Loates. A special presentation of the National Wildlife Federation. Hand-numbered and bordered in 24 karat gold - 8" in diameter. Just 29.95 Order No. 722.